Easily turn a gutter downspout, pergola post, front porch or other type of post into a vertical garden. 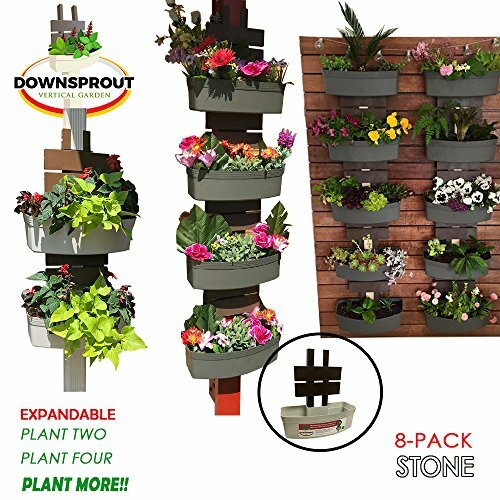 The Downsprout Vertical garden makes planting and installing a fast and easy process. With the included mounting ties and clamp, install in minutes. Grow strawberries, herbs or veggies for a vertical gardening solution to grow your own food. Fill the planters with annuals or succulents for a beautiful artistic display. With the included drainage holes, planting and growing is easy. If you have any questions about this product by Downsprout Vertical Garden, contact us by completing and submitting the form below. If you are looking for a specif part number, please include it with your message.